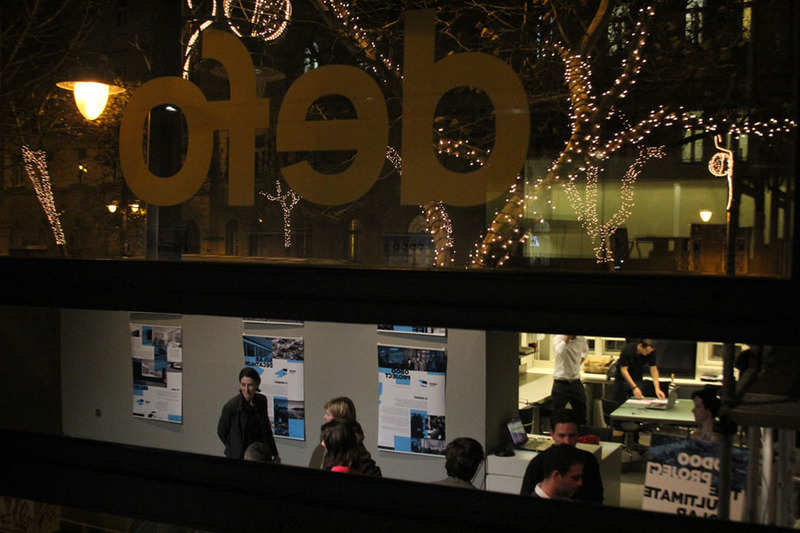 Last week on Thursday opened a month-long exhibition about Odooproject at defo labor, Budapest. This great opportunity came very sudden for us, four days before the opening; therefore, the communication team and our graphic designers had just a few time to do their work. On the opening day morning we started the preparations from 8 am: We purchased the obligatory bottles wines ( ), and the model arrived on the scene. Most of the day we spent balancing on a ladder (especially Orsi), to find the perfect place to the freshly printed posters. At last everything was in place and opening ceremony began at 7 pm, which mostly was hold for the team members and their family, to thank the work and support. 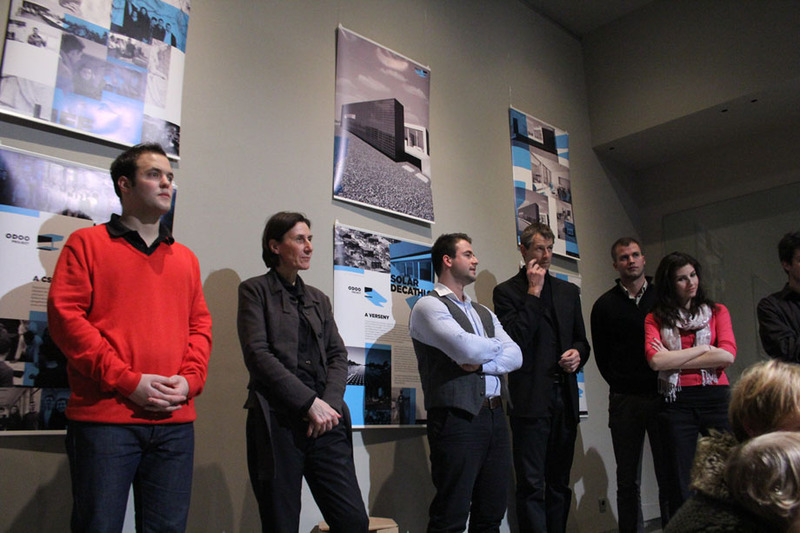 The opening ceremony began with a brief presentation from the word: Adrián Auth, Péter Dudás, Tamás Varga DLA and Orsi Nagy. 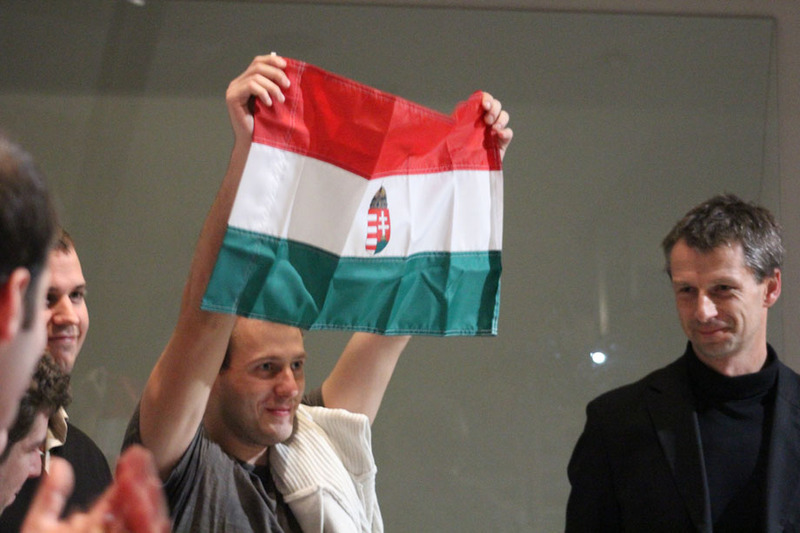 Tamás had a lovely gift: a Hungarian flag, which will be exposed in our house in Madrid. 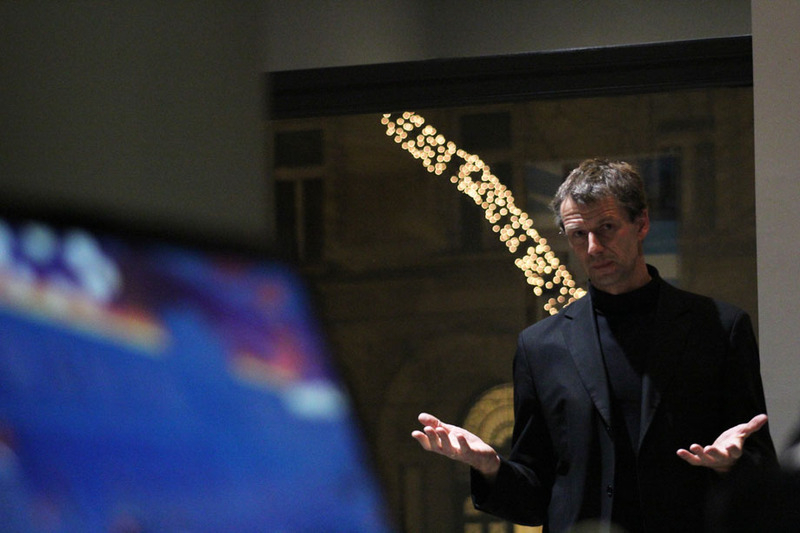 The rest of the evening spent with chatting having as good time, that the first day of the exposition finished almost at modnight. 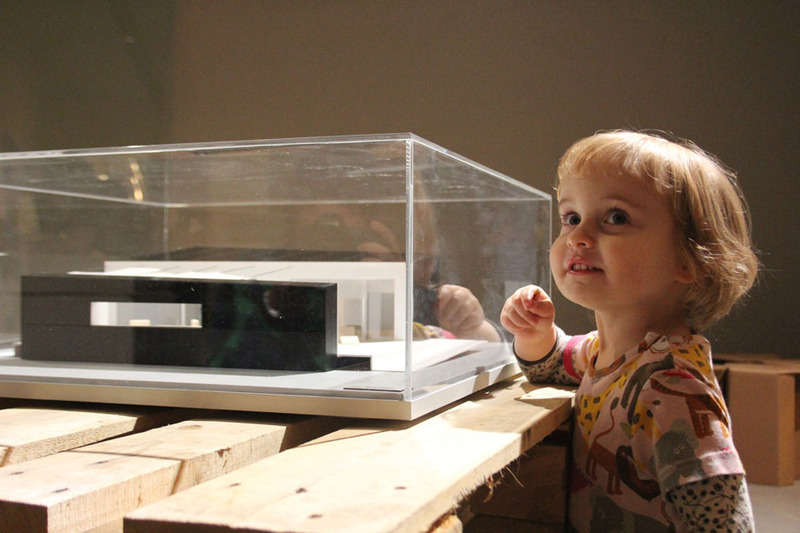 As you can see on the picture below, we also found our youngest fan. This week is early morning again we started in the lab: Duna TV made a brief interview about our presentation on TEDxYouth: Adrián Auth, Balázs Szelecsényi and Balázs Zeitler were talking about how a small group of students can reach success and cope with difficulties. 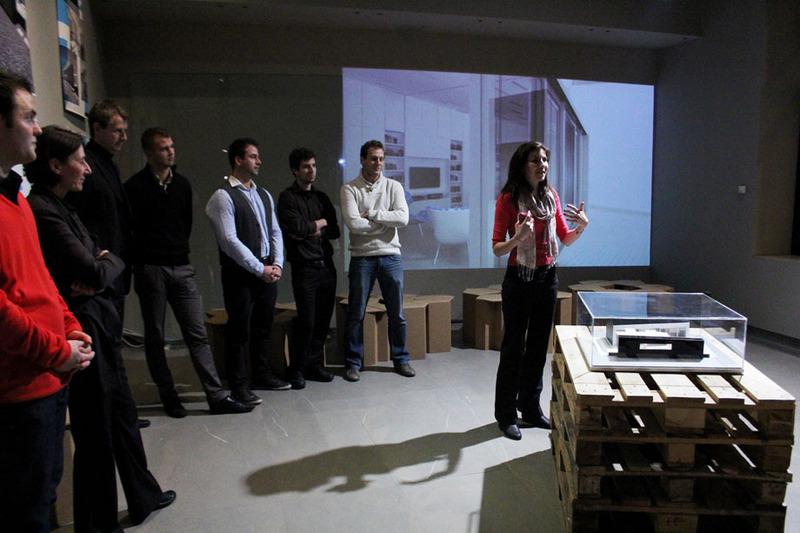 Until the end of first week of January our exhibition is open, we warmly welcome all visitors! 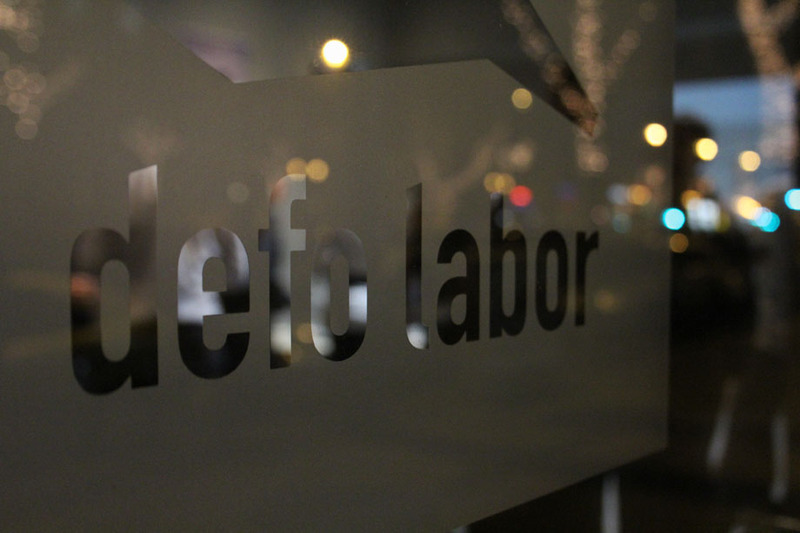 defo labor: 1111 Budapest, Bartók Béla str. 20.